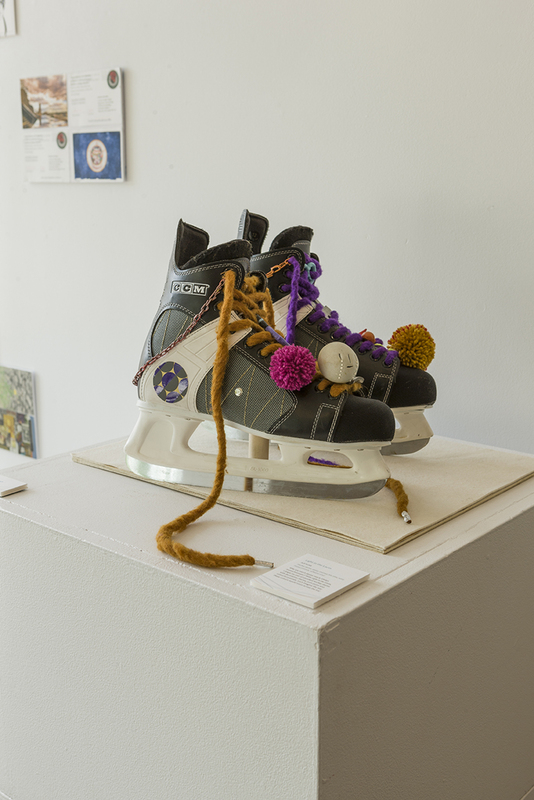 Why are men’s skates nearly always monochromatic? 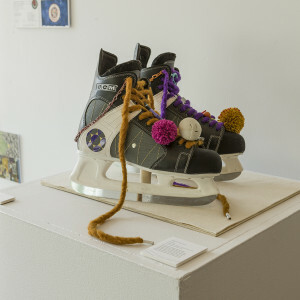 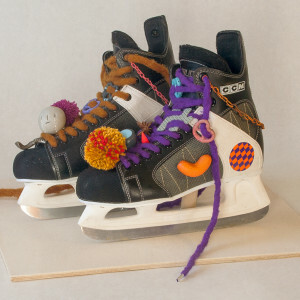 With Light in the Laces, I drape my pair of standard hockey skates with decorative charms, pom poms and colourful pretzels. 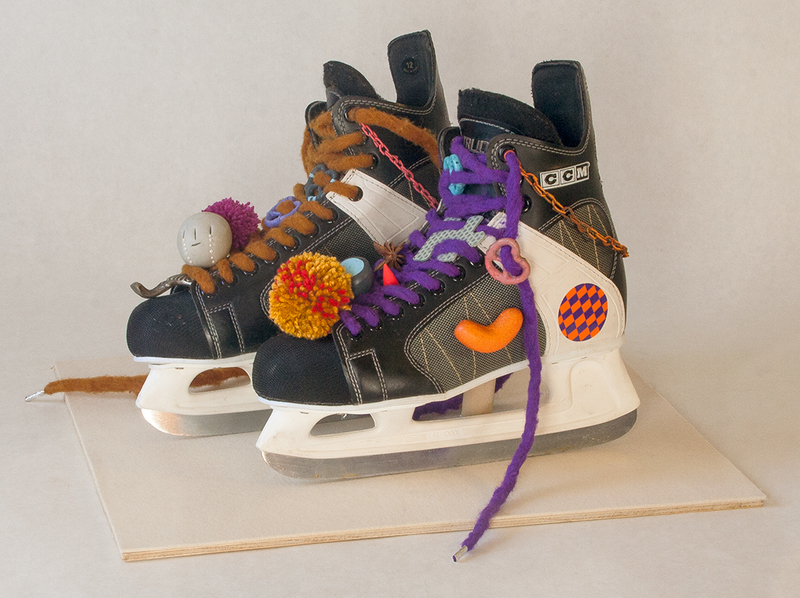 Let’s imagine the way these colours would zoom across the ice!